Yoon Eun-Hye is adorable and I love her just about everything. I loved her in this – and she was the only reason I kept watching, even when it dragged its feet and I wondered if there would be some, uhm… conflict? Or… romance? Or… interesting plotlines? Eh, so so. It’s a rather deliciously shallow gem from 2006. As for Cinderella stories, they never get old… though I believe you’ll find better options. Shining Inheritance came out a few years later and I thought it was much cuter, personally. 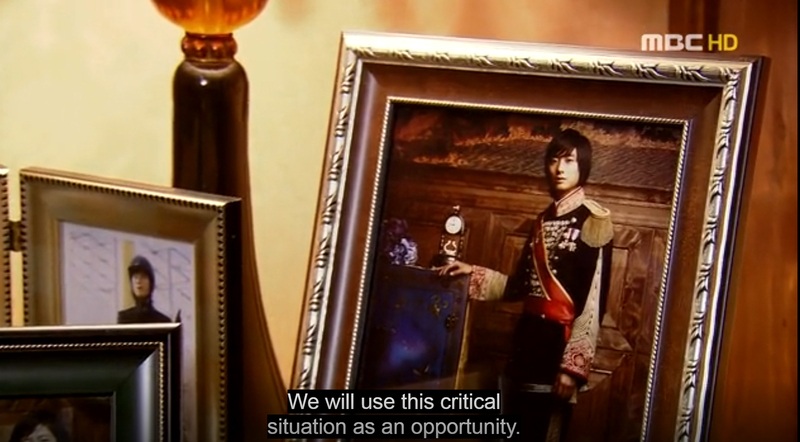 Anyways, Goong is a classic and I always felt a little bad for not watching it… so I sat down and let it roll. I am glad I stuck it out, cause… even though a bit of a bore, seeing our prince and princess finally come together was cuter than a basket of puppies. Overall Rating 6.5/10. The Monarchy… When Living Is What You Do For A Living. Goong was my 2nd drama. I watched it in 2011. I enjoyed the main couple’s scenes and the song Perhaps Love is lovely. But everything else, especially second male lead was very boring. Too many episodes!